Designed by Tom Runge the Alpha is attractive, durable and economical. 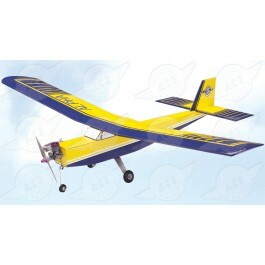 Light ply fuse construction and a foam wing with spars assure strength to hold up under rigorous flight conditions. High wing with a flat bottom airfoil is stable in flight with good slow-speed characteristics. The Simple Series concept is just as the name implies: SIMPLE. An injection molded foam wing and die cut parts that are crisply and cleanly cut, literally fall together in a few hours. Wing Area: 204 sq. in. Engine: .049 - .074 cu. in. When powered by a 1/2A sized engine such as the Thunder Tiger GP-07, the airplane will deliver great performance that is not limited by the airplane's small size and will surprise the pilot as well as the spectators. 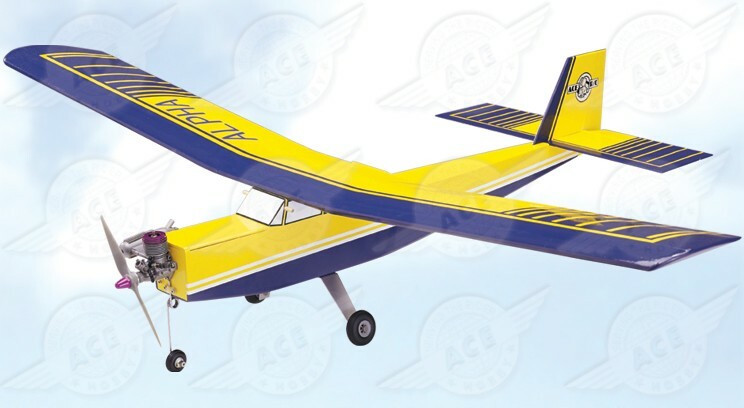 A great little airplane that will provide startling performance within the confines of the smallest of flying fields; most schoolyards provide enough room to fly these economical yet great looking airplanes. * Great performance and economy in a small, schoolyard size.